Reinforced Concrete (RC) structures represent a significant percentage of existing infrastructures in the United Kingdom. It is therefore expected that costs related to maintenance and repair or strengthening these constructions represent an increasing percentage of total infrastructure costs allocated by government entities and private owners. Moreover, the increasing complexity of human societies and the increased consciousness of sustainability and resilience of existing built environment pose significant challenges for structural engineers. The development of performant materials such as carbon and glass fibre-reinforced polymers further increase competition for reinforcement industries. This short article presents several technical challenges to which the reinforcement industry must provide reliable answers to, to maintain an important share of incoming structural strengthening projects. Existing RC structures must be assessed by structural engineers according to actual standards. The requirements of modern standards may vary significantly from the code provisions used for the initial construction of a structure. Building regulations have changed a lot since the first building constructions legislation, the London Buildings Act, in 1667. While this is an extreme, in terms of disparity, changes to the UK building regulations happen frequently, and sometimes significantly. Some relevant examples include increased traffic loads on bridge deck slabs and girders and consideration of loads due to explosion or blast on important buildings and bridges. Moreover, in case a change of use of an entire building or building part is requested by the owner, the existing structure must be assessed for the new loads to be imposed. The same would apply in the case that the owner desires to add one or more storeys on top of an existing building or to extend balconies. 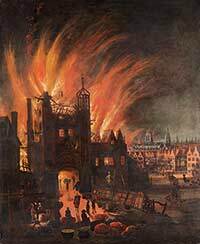 The Great Fire of London in 1666 was the single most significant event to shape today’s building legislation. Reinforcement of older structures belongs usually to low ductility class (DCL – Eurocode 8) which limits significantly the capacity of interior deck slabs (i.e. slabs between girders) to receive vertical loads higher than the ones the slabs were designed for. With regard to cantilever deck slabs no redistribution of bending moment and shear force can occur in the determinant section of the cantilever slab since the structural system is without tolerance in this area. Furthermore, since low-strength concrete was typically used over past decades and concrete cover was rather small, numerous members of existing infrastructures may present splitting of concrete cover accompanied by corrosion of the reinforcement bars. Such phenomenon can have significant consequences on the structural behaviour at the serviceability limit state (aesthetics, deflections, crack openings) as well as dramatic consequences at the ultimate limit state (structural safety). Simply put, historical, and buildings which were constructed to less stringent codes, are at significant risk of failure due to external influences such as corrosion, age, and inherently inadequate design. More reading on that topic here. On top of the above-mentioned technical issues related to existing RC structures, significant space constraints are posed to strengthening works. For instance, when strengthening a cantilever slab, the level after strengthening should be typically equal to the existing level otherwise the works must be expanded to the entire deck/floor slab. In some instances this will substantially increase costs; in others it may not be possible in any feasible way. To all aforementioned challenges, the reinforcement industry must respond with products that conform to current technical specifications but also facilitate placement. For slab strengthening, the same level is usually achieved through positioning of additional rebar at mid-distance between existing rebar. Moreover, to minimize the effects on the part of the interior slab adjacent to the cantilever, research should be performed on adequate mechanical anchorage devices that allow effective transfer of forces from the rebar to the surrounding concrete without excessive demand in terms of concrete cover. In the case that a column/pier is reinforced only on one side or a cantilever slab is extended, the new reinforcement that is added must be welded to the existing rebars. In older RC structures the reinforcement class may correspond to a non-weldable category, depending on the carbon content. For such cases research is needed in order to provide devices that could render the collaboration between old and new reinforcing steel as effective as possible, using, for instance, rebar couplers that can guarantee the transfer of forces between different steel class rebar. On the material side, reinforcing steel possesses significant advantages compared to concurrent materials such as polymers. For instance one could refer to the dissipative behaviour of steel under cyclic loading conditions, either reversed (seismic action) or non-reversed (traffic load action). 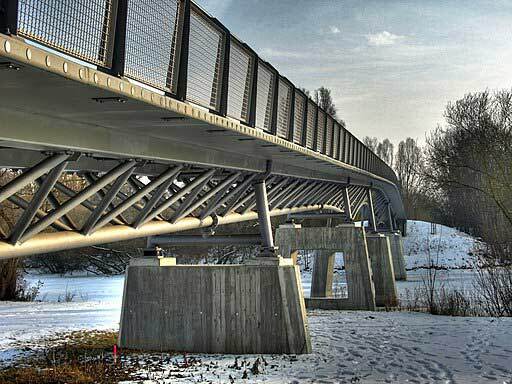 Due to the fact though that RC is a composite material, if concrete developments evolve slowly, any research and development effort of the reinforcement industry will be penalised in the actual application of new products in RC structures. The engineering community is nowadays more than ever demanding measures to protect existing infrastructure from environmental effects that could cause cracking and carbonation. Moreover, research should also be directed to new types of concrete (such as ultra-high-performance ‘ductile’ concrete) that can enhance the ability of RC structures to absorb energy when subjected to abnormal events and therefore lead to a more effective collaboration between reinforcing steel and concrete. Ioannis is a structural engineer with PhD in the field of reinforced concrete structures and with experience in bridge and building engineering. His interests for research and development involve blast and earthquake engineering, shear and punching shear behaviour of reinforced concrete members as well as the bond behaviour of reinforcing bars.